I paid for a one year subscription, but after two issues I am required to pay for each magazine. Buyer beware. I was having the same trouble many other reviewers have had with not being able to download issues I had purchased. I tried removing the app from my iPad and then reinstalled it, and that solved the problem. With the April issue, all of the nice features of the app have been removed: the resolution is worse and the videos, links and scrolling are gone. What is the added value of the app?!? So I have spent more time on the phone with Martha Stuart living customer service then reading the magazine on line......trying to download previously purchased cloud magazines and am still a current print and digital subscriber. Purchased a new mini iPad since my old iPad is no longer supported by Martha Stewart living. Now every time I try to download the cloud stored magazines from past purchases the app says my subscription access is no longer in effect. I call and yes verified I do still have print and digital accounts. Since it has only been a month since they charged my credit card I am considering dropping all Martha Stuart products and asking for a refund!! Wow...should have read all of the reviews before bothering with this app. Horrible. Actually a comically poor performance. click a link to watch a how-to Martha video of a project? The link takes you to a Home Depot site and when you click "play?" You receive a message: Video is not compatible with this device! LOL! What is the point ? I am stunned that the app developers would actually sign off on an app of such poor quality. A subscriber is unable to consume the content! Don't they TEST these digital magazine apps? Martha, this is NOT what you would call a "Good Thing." This download takes half an hour or more for each issue. And it won't download in the background, so you need to wait for it. You can start to read the issue while it downloads, but it takes even longer. But guess what - all the ads are somehow downloaded immediately. Martha's gotta make her money. It's a great mag but you wait ages to read it. I'm surprised so many people rate this so low - I've only ever subscribed to the digital version, but I've never had a problem re-downloading my content etc. It works great. First, I love Living - the content is wonderful. And the adjustments they've made for the digital format are really clever and totally enhance the experience. I'm definitely renewing my subscription when it's time. I do think it would be useful if landscape view was supported, and there was a text enlargement option for people with vision problems (like the Kindle app). But for us that wish to read the articles, could the enlarge text feature be made available? I have always loved the digital edition of this magazine - it was so digital friendly and great to click through. The April edition changes all of that. Pages are now just PDF version of the print magazine, and if you try to zoom in to the minuscule print, it's blurry and unreadable. The only reason I can think of is that they are wanting people to return to purchasing the print edition of this. Terrible call, Martha. This is awful now. Starting with the April 2015 edition, the iPad version is just a low resolution version of the print magazine. Too small to read at 100%, and pixelated if you zoom in. I would not recommend purchasing a subscription to new issues. (But the past issues are great.) Very disappointing MSO!! New format for April is terrible! The latest April 2015 version has changed to be simply a copy of the newsstand version. It is impossible to read as the text size is now not optimized for a tablet. While I didn't utilize all the previous bells and whistles, I did use some of them and miss them. The reason I kept my hard copy subscription was the ability to view the digital version. With this change I am considering canceling everything. I have a subscription and cannot access my magazine. Don't get a subscription. I had a print subscription through early 2014. I was unable to download most of the digital versions due to a lack of memory. Now that I've updated the app and made space for them, I find all my digital versions are no longer available. Based on everyone else's comments I have low expectations that I'll ever get them back on this ipad or my new one. Other digital magazines I have are still intact so I know this is not a problem with all magazines. I'm a loyal iPad subscriber, and subscribed to the print version for over a decade before going digital. In the latest "streamlined" issue, not only have I lost some favorite features (efficient, clickable descriptions, links to pages, panoramic images), I can't read it! If I zoom in to the now-tiny text, the type is pixilated. I expect so, so much more. I have been a digital subscriber since 2011 and I lost access to all of my past purchases. I tried deleting the app and reinstalling it and that did not work. I emailed customer service and I never received a response. Based on my experience and the other reviews I have read, this company simply does not care about its subscribers. The magazine's new April edition has a note, stating that in order for them to streamline with their print magazine format, the digital version has removed all its interactive and video contents. That is the most irresponsible decision for a digital medium publisher to make! "Streamlining" in this case is for them to fire their entire digital team and simply upload their print design team's PDFs as digital content. For example, A photo image page is shown only with an excerpt referring to different pages for details, not even a clickable link to that page, which is the digital-magazine-101. This is a decision purely for cutting cost, and utter disrespect for their customers. As a loyal customer of the digital Living magazine for over 5 years, I've always admired the magazines contents and designs, I sincerely hope that this decision is only temporary, or it is truly a giant step backwards. Do not waste your money, this app is an absolute joke. No longer a digital issue just an upload of their print design proofs. The type is tiny and pixelated making this a horrible read. There is no digital functionality, none, calling this mag digital us now a joke. A shame this was by far my favorite digital subscription. The developers did a great job bringing the mag to life. I plan on canceling. I have been a digital subscriber for several years and for some reason the numerous pages in the most recent issue are so blurred they are unreadable! Don't give up your print subscription! If you like MSL, keep your print subscription since you won't be able to use this app to access any issues. Issues disappear or they don't download. Asking for previous issues to download freezes the app and does nothing, even after 6 hours. Don't waste your time. Horrible app. MSLO has changed the format starting with the April 2015 issue; it is now essentially a scan of the magazine, and does not use digital type, rendering it illegible. The fonts are not crisp, blurring with the images behind, and type in any colors (blues or purples) are useless. Zooming in doesn't help. They've also eliminated all video and interactivity which really made this format worth subscribing to. I'll be letting my subscription lapse -- very very disappointed and pretty shocked they would put this out with such raging quality issues. This used to be one of my favorite magazines to read on my iPad, not anymore! Starting with the April issue, the pages don't even fill the whole iPad screen. You have to pinch to make the text larger and even then it's extremely hard to read because of the horrible font. It looks like a low quality scan and is pretty much impossible to be able to read it. This new change means Martha Stewart Living magazine has gone from one of the best to the worst. The upside is I'll have more storage space on my iPad because I will no longer have to download the low quality scans of this magazine and will just wait until the issues come in the mail. I'm so frustrated because they automatically renewed my subscription (sneaky!!) and I cannot even get access to the new issues! Nor am I allowed access to past issues. All I get is the home issue which is months old. No matter what I do I cannot get the current issue. What the heck am I paying for?! It's ridiculous that I need to pay for a traditional subscription and a separate subscription for digital access for a magazine that is 50% sold ad space. I really liked the digital subscription. There were videos and it was pretty interactive. The only reason why I decided to go digital for this mag was for those reasons and it's all gone! Please bring back the videos and such that comes with being a digital subscriber! Scrabbaholic, Martha Stewart doesn't care about her brand any longer. Go online and read all the many pages of complaint after complaint about the entire MS product line. Everything from cheap paint fading and peeling... patio furniture falling apart... Cookware failing and breaking after one use... Bed sheets and towels coming unraveled after a couple washings... It just goes on and on. At one time, MS products were top of the line, now they are just pieces of crap, same as both her print and online magazine. For years I was a Martha advocate, but I now feel it is time to move on. What a shame. This used to be such a pleasure to read, but is basically unusable in the new "format". I find it hard to believe that Martha Stewart looked this over before the change was made...pinching and zooming constantly (and even then, the print is fuzzy. What?) is annoying beyond belief. Very unfortunate decision. My subscription will be allowed to lapse. I have been a subscriber to the digital edition of this magazine for several years and have always loved the interactive content. The new format is just awful. I can hardly read the text and all of the lovely videos and details I have always looked forward to are gone. I am glad my subscription was supposed to renew in May so that I didn't end up paying for an entire year. Such a disappointing move backwards in an age when so many publications are creating beautiful digital formats. Dreadful! It's just a digital page turner. Martha Stewart must not care about her brand any longer. Try reading her magazine on an iPad mini. You can't. It used to be interactive. It used to scale for the right mobile device. No longer. You can't even read it. It's just a digital page turner. She's gone back about 15 years as far as technology is concerned. Clearly, they've done some cost-cutting. This was not the place to do that. How can she even compete with other magazines? I will NOT be resubscribing to this piece of pedestrian junk. I thought it was awful when your magazine removed the cover animations, which were really awesome and quite a pleasant and innovative surprise. Now, the newest update removes all audio/visual digital content. What's the point of having a digital magazine version, paired with such an amazing piece of Apple technology, when you don't take advantage of everything you can develop and curate to your new-age, digital consumers? Your development team should be embarrassed. If you're going to remove content, you should have more time to focus on simple things like page formatting and layout. The pages of the digital magazine don't even fill the entire iPad screen. I'm very disappointed, and unfortunately just renewed my subscription a few weeks ago. I subscribed to this magazine for its wonderfully interactive digital edition. Every aspect of that version was thoughtfully designed and a delight to read. Now that the digital magazine is essentially an uploaded PDF that doesn't even include hyperlinks (really people? ), I will be canceling my subscription. Pictures are gorgeous as always and I still value the content but for such a media giant it is impossible to believe they're not intentionally obfuscating their subscription policies. Having been a continuous print subscriber since the beginning (1991) I find it infuriating how impossible it has been to understand and follow their constantly changing plans. If is also difficult to wade through the multiple portals/vendors etc. In short they have finally convinced me to abandon my subscriptions. What happened to the beautiful interactive design? The last time I subscribed (a couple years ago) the iPad version of Martha Stewart Living had truly imaginative and delightful interactive/animated features that brought the magazine to life. Giving 3 stars for content. Unless March 2016 is a fluke or I'm doing something wrong, I wish I had spent the money on a paper subscription. Bring back the exceptional user experience that MS Living is capable of producing. This was the digital magazine that made me fall in love with magazines on the iPad. No more - as others have said they are literally just using terrible quality scans from the physical magazine and plopping them into the app. They don't even have hyperlinks to products or websites which would be easy to implement and is very basic. Truly disappointing, and I feel a little scammed. I haven't even made it through more than a few pages since the switch because the quality is so horrendous. Guess I'll just stick to back issues when my subscription runs out. See recent reviews - this has become unreadable. Total fail by publisher. UPDATE : Thank you for digitizing the text. I'm changing from one star to two. Oh no! I really enjoy the content and design of this beautiful magazine, but all of that is lost with the new April issue! The format that looks great and works well in print is SO hard to read in a digital format. The text is way too small -- even on a large iPad screen -- and when I try to zoom in, the text is blurry. I loved the links and videos from the old version, but even if those have to go, I would REALLY appreciate if the text was at least readable. I generally adore small type in print materials, but it doesn't work in this digital publication. I usually don't write reviews, but this new format is so heartbreaking! Please, please reconsider! When MSL switched formats in April 2015 the digital magazine layout has been abysmal. The print is now too small to read and there is a large white border around every page that reduces the overall viewing area. I have subscribed to MSL print and digital since 1996 but they just lost a customer. I've read that despite a deluge of complaints in iTunes about the changes, Meredith Corporation, the company responsible for the new format, isn't likely to remedy the situation. Maybe I'll check back when their 10 year contract ends to see if there has been an improvement. I've been a subscriber for many years and had happily switched to the digital version when I stopped all of my paper subscriptions. Sadly, the publisher has changed and downgraded its format and the digital format is no longer readable. I just killed the automatic renewal setting and am grateful I caught this sad development before the renewal went through this month. I love this magazine, in particular I love the ipad version. With the latest issue (April 2015) it's basically been put on life support. All the lovely special features are gone, but more importantly the content has been reduced to a simple pdf of the print version. It does not translate well to the ipad screen. Text is unreadable, recipes are inconvinient to use (like the set of 4 recipe cards in the middle that are itty bitty and only make sense on real paper). Everything that made it worth a year's subscription is gone -- but I bet there's zero chance of a refund (still have 10 months left). I really hope they reconsider this decision. I have been subscribing digitally to MSL for at least two years, and did so because it was great content, easily accessed via my iPad in my kitchen. I wanted to give the new format benefit of the doubt, but almost a quarter through the latest issue, I was frustrated with fonts that were not easy to read, and a recipe format that was not friendly for the kitchen. I hate the waste of print media, as well as the shelf-space required, however, I'll have to go back to a paper subscription if I want this to actually be useful! Perhaps this is the publishers gamble to drive people back to paper publishing. I'll be canceling my digital subscription. MSL led the way in creating a gorgeous and user friendly format for iPad. But no longer. No thank you on this awful, ugly, hard to read PDF version that's not even sized for the screen. I'd be happy to resubscribe if they reverted back to the lovely digital interface it had pre-April. So sorry to say that the magazine is just a PDF document. Where is the interactive app? Brilliantly done, but for just a month or two. Waiting for it to get back, otherwise what's the point? The digital edition of Martha Stewart Living used to be my favorite magazine to read on my iPad. It had a fun, dynamic format I wished other magazines would emulate. With the April issue, that's all changed. The so-called streamlined format is nothing but a PDF of the print edition, as other reviewers have noted. This renders the magazine virtually unreadable, the recipes impractical for the kitchen, and certainly no fun to read. Why offer a digital version if you're not going to take advantage of the potential of the medium? Regrettably, I've cancelled my subscription. No longer a super fan :( Don't subscribe! 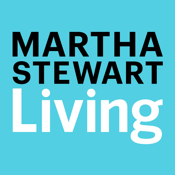 I've canceled both my digital and print subscriptions to Martha Stewart 'Living' magazine. When Martha decided to stop publication of Everyday Food Magazine, my interest in Martha Stewart's brand took a fall. This past April, the digital version of 'Living' became nothing more than photo copies of the print version. The current version of this magazine contains no interactive features. Boring!!! 'Living' magazine has less and less articles on food/entertaining and more and more articles about beauty tips! I was a subscriber since 2005. Sadly I am no longer. Martha has lost her edge. I'm with Cara. Major disappointment!! This is not an upgrade, but a down play of all the features that made the e-version a pleasure to read. If you skinny down your offering, you should at least skinny down the price. Rip-off!! DON't WASTE YOUR MONEY $$$ !! Time ti switch! The brand doesn't café about our Comments! And why buy the magazine when they put everything in their Instagram account and website?! I'm definitely OUT. I had my subscription to this digital magazine on auto renew for years. With the massive decrease in quality starting with the April issue - I've cancelled my auto renew and wish I could get a refund for the rest of this year's subscription. This "streamlined" version is not what I paid for. The changes to the format are so disappointing! I used to really enjoy reading the digital issue of the magazine. It was a lot of fun and very engaging. Now, the text is difficult to read (so small!). there's no video content, and it's basically just a pdf version of the magazine. If the goal was to save money, perhaps they've done that, but it will be at the expense of customers. I have been a subscriber for years, but i am discontinuing my subscription. Crap. I've never written an app review before. But this is worth noting. This app used to be so enjoyable and beautiful. The new format is a joke. I'm 25 and have 20/20 vision and can barely read the text. Perhaps because the pages are just low quality SCANS of the pages. This used to be my favorite magazine on my iPad. Read bon appetit instead. Their iPad issues keep getting better. I've loved Martha forever so have ignored the warning signs that she's lost her touch and brushed off the diminishing quality of the magazine's content as "just a bad month". Clearly she's over it and checked out now. May I suggest she close that silly café and hire back her digital team? Such a foolish decision for someone who goes on and on about how much she loves technology. Like other reviewers, I am very unhappy with the redesign. I've been a subscriber to the digital edition for several years and used to enjoy the easy interface and digital features including videos and additional content, and easy recipe searches. Not only has all that gone by the wayside, but the print is now so small as to make it nearly impossible to read, even with glasses, and there's no way to resize it. I'm hoping this changes for the better soon, or I won't be renewing the subscription. CRITICALLY BAD DECISION TO DOWNGRADE FORMAT!!! I’ve been getting this publication for years and I just noticed they changed up the format this month and it’s really, really, bad. I am completely flabbergasted as to why they chose to represent the magazine in such an inferior way. Basically, they ‘flattened’ everything so text and images are no longer scalable and when you try to zoom in to read something it looks pixellated and horrible. What a mess. Has MS completely fallen off the wagon? If I could give their change in direction an negative score I would. I immediately cancelled my remaining subscription and don’t plan on coming back unless MSL gets their act together and produces a digital magazine worthy of 2015, not 1995! Another app in which I can only see magazine covers for free. Content is basically a PDF version of the print magazine. Viewing is not optimized for the iPad and hard to read. What happened to the wonderful interactive content of the old versions? If something doesn't change in the next six months, I'm not renewing my subscription. I used to love this app...one of the best! These new changes are horrible and I've canceled my subscription! If I wanted a PDF, I would just purchase through Zinio or get the print edition. I subscribed to the digital edition because of the features it offered. Now they are gone in favor of "streamlining". Horrible cost cutting move. I will be canceling my subscription and if I could give this less than one star, I would. Lost almost half a gig of storage! Not to mention the constantly changing interface and the fact that the print is tiny and doesn't seem optimized for iPad viewing. Love the mag and have been a subscriber for years, but I'm done with this app and going back to print! Love reading Martha Stewart Living on my IPad while sitting in my bed. I've never been a fan of the feel of paper or newspaper on my fingers so this is a perfect option for me. Love the creative colorful layouts, recipes and inspiration. Where would we be without Martha? I just love her and this subscription! What an absolute SCAM, I am so mad right now. I just resubscribed to one of my favorite digital magazines for a whole year - and the first issue I get isn't even as was advertised when I bought it. It should be interactive and easy to read - essentially what they're putting out now is a PDF of their print issue, which is not what I paid for. It's very difficult to read and it doesn't even match the size format of the iPad. And the line they're feeding us about "getting it to be more in line with the print copy" is absolute BS - they just want to save money by not making it interactive. I know for a fact they are just exporting their InDesign file as a PDF, it's shameful for such a huge company to try to get away with this. How do I get a refund for this scam? The old, interactive version was great, why did it change? :( the previous versions of the digital magazine on iPad where the best! Now it is just like any other magazine. I really miss the old format. Please bring it back. With the April version, the Martha Stewart Living Magazine appeal went from one of the very best digital magazines to one of the worst. It used to have links, navigable features, and so many cool things that the print version couldn't offer. Now it is just a scanned version of the print version -- and not even a good quality or properly formatted version, at that. I'm so disappointed that we won't be seeing the previous format, and wish there were something we could do! I try to read all my magazines digitally, and Martha Stewart Living was the cream of the crop. I loved telling people how tech-savvy the magazine was and how it was a great representation of all you can add with an interactive medium. It was truly a pleasure to read on the ipad. Not anymore. I've been a little behind with my issues, so when I started reading April's issue this morning, it was quite a shock. No videos. No ipad formatting. No interactive stories. Just what looks like a PDF version of the magazine. I understand that this must be significantly cheaper to produce, but I would be willing to pay more for the interactive magazine I loved. (Martha Stewart is the cheapest magazine I subscribe to right now by far.). Please, please, please bring back the magazine that was such a shining example of what the future of digital magazines should be. Not this PDF dinosaur. The magazine is now nearly illegible. I will cancel if future issues continue to look like May 2015. The experience of reading the digital edition is gone. There is nothing special or luxurious about it now. Formerly, the graphics were beautiful and the text never used to require double-taps or squinting to read. Joining in with the other negative reviews. The new format is horrible. I tried looking for a feedback page to directly contact MSL but could not find one (they must know it’s not as good as they used to offer surveys). The font is extremely hard to read, and the pictures are just lackluster compared to the vibrancy of the pictures before. I don’t mind not having videos (although they were very helpful), but it’s really unreadable. I don’t see why I would renew the digital version, especially as it’s more expensive. How could they charge more for just a pdf? This app always has problems. The one I'm dealing with now is that it won't remove issues. Tried deleting app and reinstalling. And of course redownloading my issues but then I can't get rid of them later. Think I'm going to stop this subscription. Just not worth the hassle. If I could give this zero stars, I would! I used to love this digital magazine but now it is a very horrible cheap version. The editors don't even bother to optimize it for the screen, making it very difficult to read. I've canceled my subscription and won't renew until it's vastly improved. Don't waste your money. This app won't update on my iPad 2 running latest IOS. Please fix this app. New version is a huge disappointment! I used to love the digital version of MSL but this new version is horrible! I really used to enjoy the extra features of the digital version, but now it's just a poor quality pdf of the print magazine. The print is so tiny I can barely read it, and when you zoom it its just too blurry. I've been a subscriber for several years but I'll be canceling my subscription now because it's just completely unreadable. What a huge mistake on the part of Martha Stewart Living!